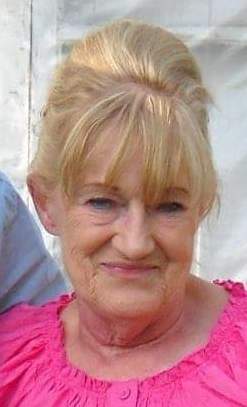 Monika E. Hilgendorf, age 76 of Maple Rapids, MI passed away at her home on Monday, April 1, 2019. She was born in Berlin, Germany on April 7, 1942 and on March 3, 1963 she married Gary Hilgendorf in Helmstead, Germany. Monika had worked at Mid-West Abrasives in Owosso for several years until they closed, and was a seamstress. She loved her dogs, quilting, gardening, crocheting and doing jigsaw puzzles. Monika is survived by her husband Gary, Daughter, Rachel Thompson of Pompeii, MI, 3 grandchildren (Special granddaughter Rebecca Thompson of Rainbow Lake.) and a half brother, Manfred Gehrecke of Germany. The family will receive friends and relatives at Maple Rapids United Methodist Church, 330 S, Maple, Maple Rapids, MI 48853 on Thursday April 18, 2019 from from 11:00 A.M. until 12:00 Noon at which time services will begin with Pastor Kathy Leydorf-Keck officiating. Memorials may be given to Sparrow Hospice or any animal shelter. Arrangements by Keck-Coleman Funeral Home.